Educated at Heriot-Watt University, The University of Edinburgh and the Massachusetts Institute of Technology. Professor of Acoustics and former Vice Principal at Edinburgh Napier University. Fellow and past member of the Council of the Institute of Acoustics. An American National Science Foundation Fellow, Professor Mackenzie was awarded The Institute of Acoustics Tyndall Medal in 1980 and a Royal Society Industrial Fellowship in 1992. He was Director of the Building Performance Centre (1997-2007), which was awarded the Queen’s Anniversary Prize in 2009 and established the Centre for Timber Engineering in 2001, serving as Director (2004-05). 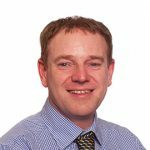 He served as chairman and member of Working Groups on Building Acoustics for the International Standards Organisation (ISO WG51), European Standards (CEN WG18) and British Standards Institution (BSI EPC/1/6). He has lectured extensively throughout the World on the subject of sound transmission and has advised Government bodies on regulatory guidelines for noise control, over the past thirty years.